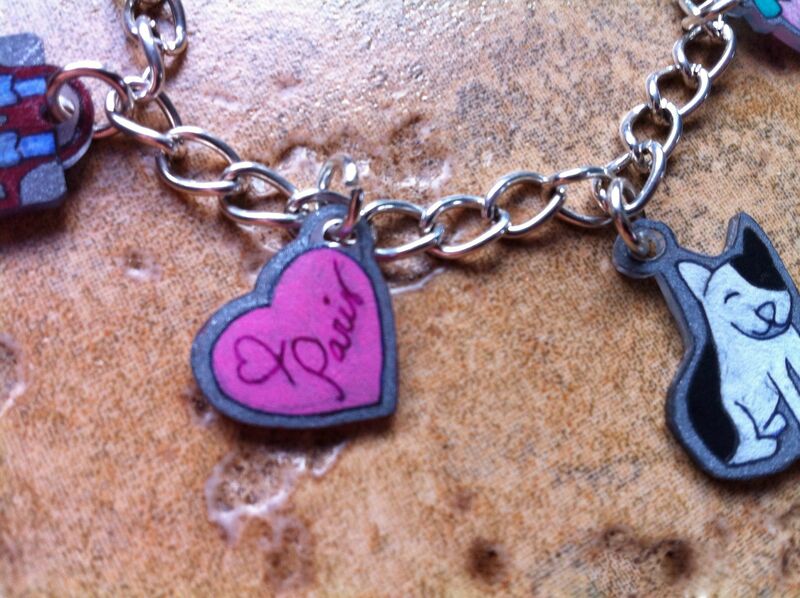 The charms are made from Shrinky Dink paper, and the chain is just something we had. I bet you can buy them at Claire’s or someplace else like it. Anyway, we had a lot of fun making these. 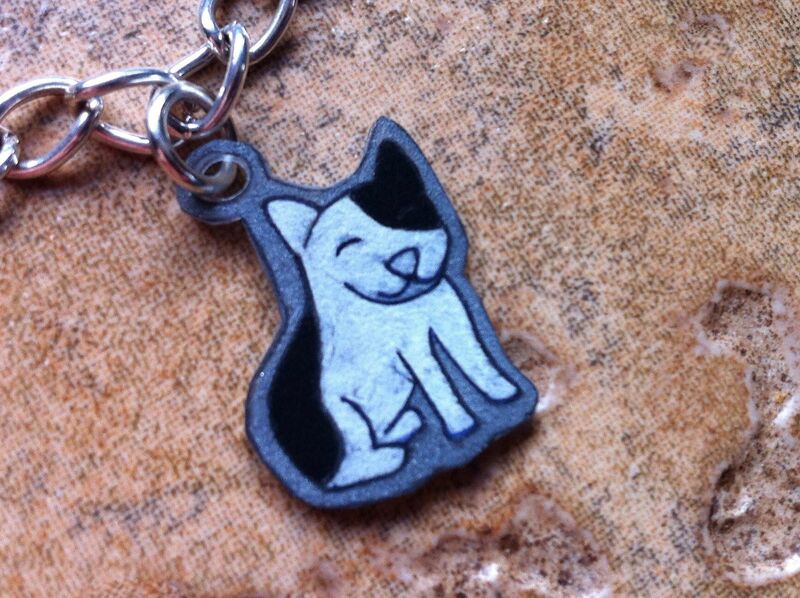 Here are some close-ups of the charms. 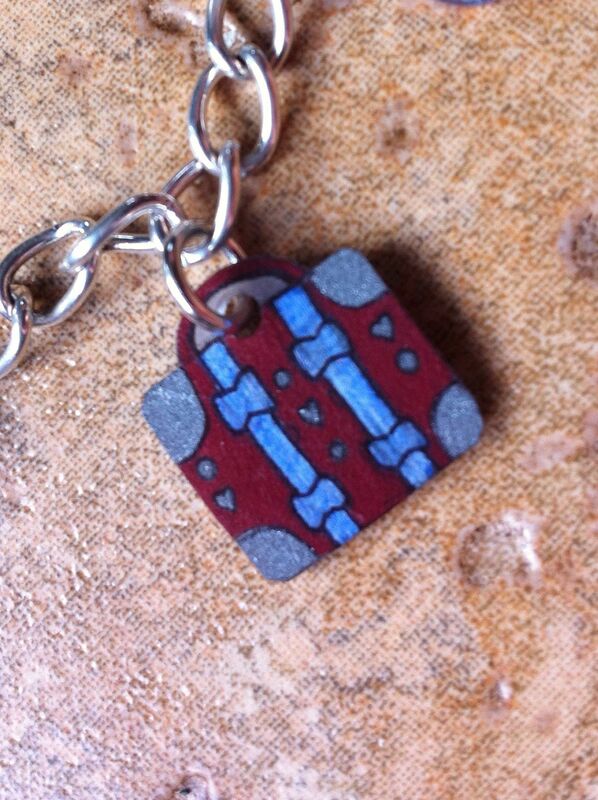 I colored all of the charms with colored pencils, and colored the space around the heart, silver. White actually shows up pretty well on the paper. 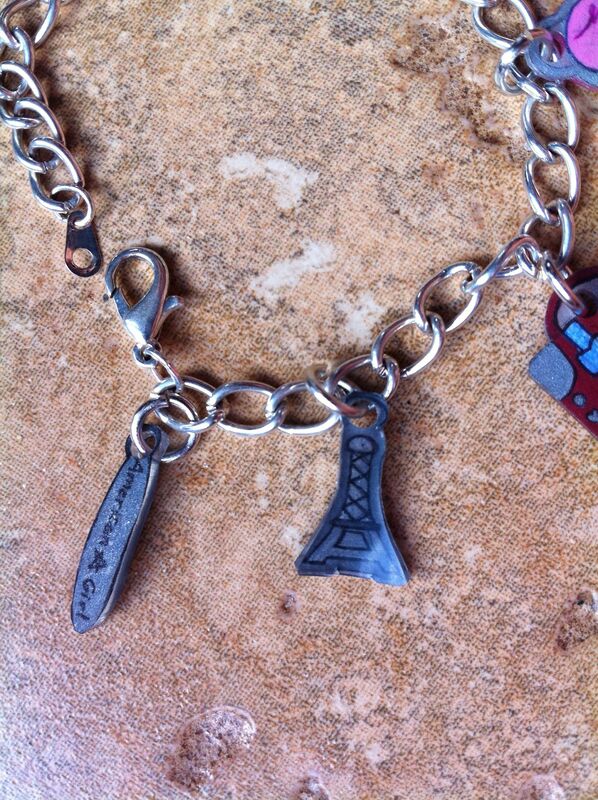 The last two charms are the Eiffel Tower and an American Girl charm. I outlined all of the charms with a black Sharpie after I colored them. 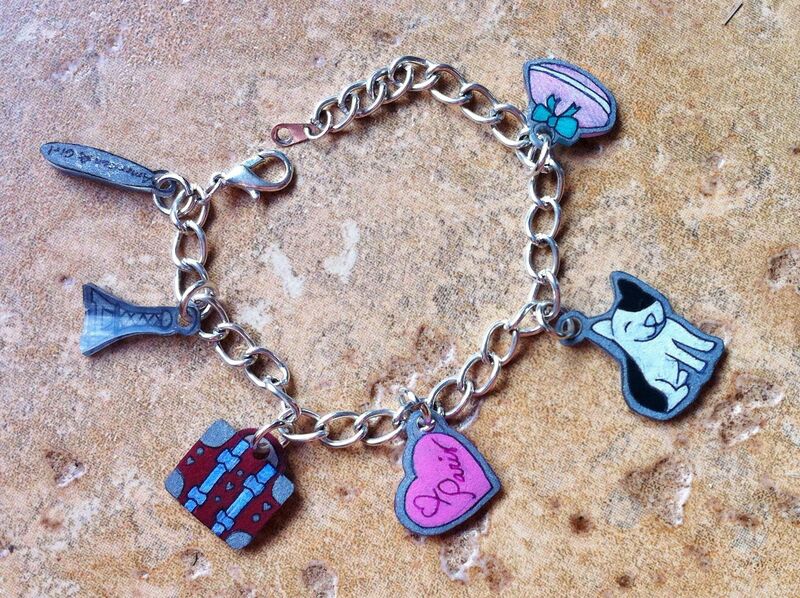 If you make the bracelet, let me know how it turns out. Okay, but this kind fits girls, not dolls. I bet if you changed it around a bit, it could fit a doll! How cute! You guys are creative! 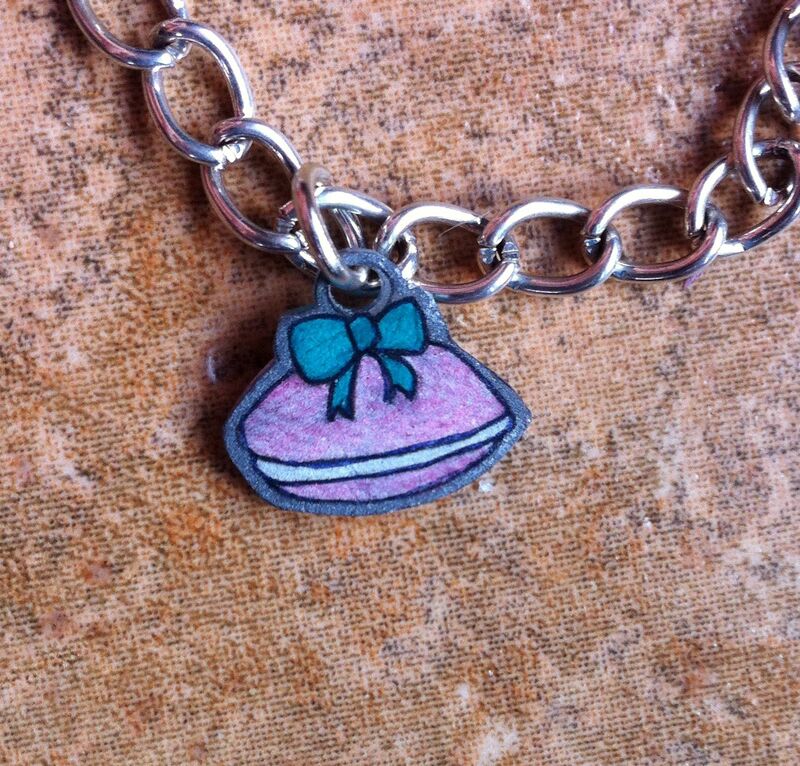 What is the charm that is a pink oval with bow on top suppose to be?